This product name is Fennofix K97, which is specially used in paper and pulp industry, as fixing agent. 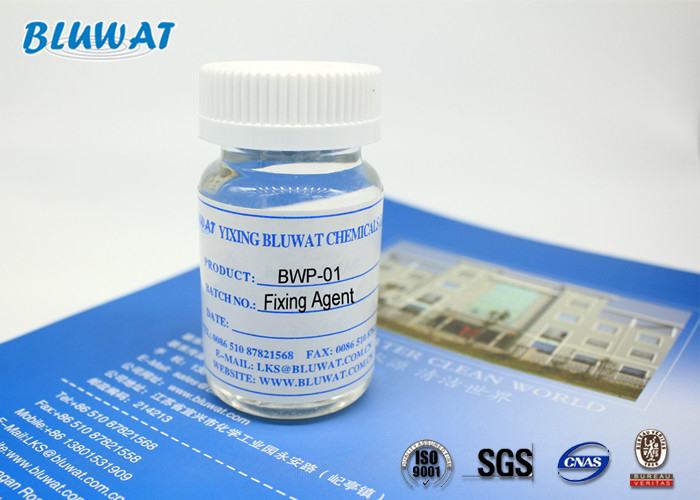 It is produced by Bluwat Chemicals, supplying OEM to Kemira. A modified dicyandiamide-formaldehyde resin, used as a fixing agent for anionic detrimental substances. This Fixing Agent is quaternary ammonium salt and cationic compound. Fixing agent means anionic trash catchers for paper & pulp production. It can prevent anionic impurity, improve efficiency of chemicals and reduce pollution of production process. Mainly used for paper& pulp industry, it can improve the retention of the fine fibers and chemicals for wet end. Can increase the retention of the paper and speed of filtration of water. Can improve the paper machine runnability, prolong the life of wire part of paper machine and blanket. 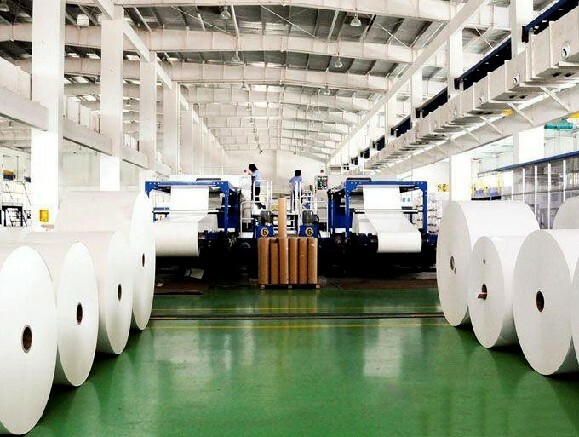 Can improve the cleanness of the paper-making system and reduce the wastewater load. lso suitable for treatment of coated broke, as it prevents re-agglomeration of latex particles.mainly used for the coated broke system to improve the paper quality in paper-making process. 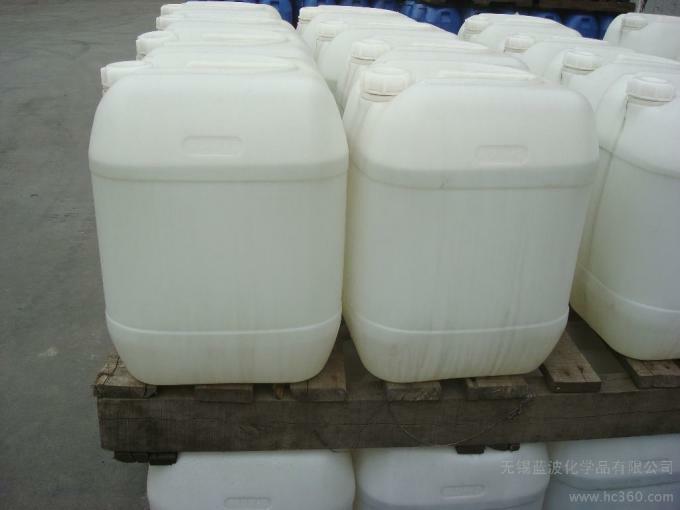 It is also used for the de-inking system as de-inking, dispersing and fixing agent. It is used as a color fixing agent for colored paper. The dosage varies depending on the circumstances, but is commonly 500 - 1000 g/t paper when Fennofix 50 is used as a fixing agent. When used for coagulation the dosage is determined by laboratory tests and usually requires 10 - 50 ppm. Increases retention of fillers, fine, dyes, pigments. Improve drainage rates, leading to increased production. Reduces save-all loads and suspended solids in effluents aiding in pollution abatement. Greater sizing efficiency with rosin, dispersed, or synthetic sizes. Optimum performance from wet and dry strength resins. Control of anionic components in furnish. Contributes to cleaner machine wet-ends. Reduces use of sizing chemicals and alum. Lowers addition of wet and dry strength resins. Lowers filler cost through better retention. More efficient use of dyes and pigments. Operation of machine at higher pH with less corrosion. Should be stored in original packaging in cool and dry place, away from sources of heat, flame and direct sunlight. To be handled with care. In order to prevent skin and eye contact, use proper protective equipment. In case of contact, immediately wash away with plenty of water, eyes should be flushed for at least 15 minutes.